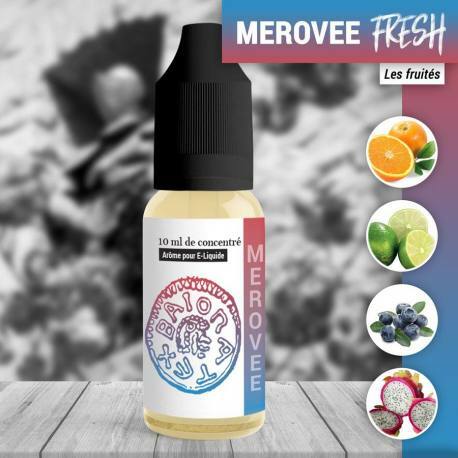 The Merovée King proposes you to taste a recipe which is full of freshness associated with Orange, Blackcurrant, Lime and Dragon Fruit. Concentrate 814 is available in a 10ml bottle. The Merovée Fresh Concentrate is produced in France by 814. A fresh wind coming straight from the lands of 814! The Nantais manufacturers propose their famous recipes embellished with powerful fresh sensations. You can find the Bathilde, Clodomir, and the Merovée in a 10ml bottle. The 814 Fresh Concentrates is the result after a long process of reflection which offers you original recipes of great quality. Each 814 Fresh Concentrate, you will appreciate the magnificent mixture of fruits accompanied with beautiful freshness. Make the choice of nobility with the 814 Concentrate. Each Fresh Concentrate is made in France by 814.